This has been an unusual endurance season for me. It started with a fairly abrupt end to any official involvement with the AERC organization. I dare you to find any non-profit, volunteer-driven organization that is without dysfunction, but the foibles and the characters within it were triggering my own shortcomings. I needed out. This left me to focus on re-finding my mojo for 100-mile rides. I was just on the cusp of grasping, a ride in my sights, when my 100-mile horse, Ace, took a few wrong steps on a conditioning ride. Once, then again. Diagnostics. Ringbone. A month or two of clinging to the hope of a fairly simple fix, some shoeing changes, some joint support in the form of pharmaceuticals and a sad realization that it was not to be. It was too much to ask. 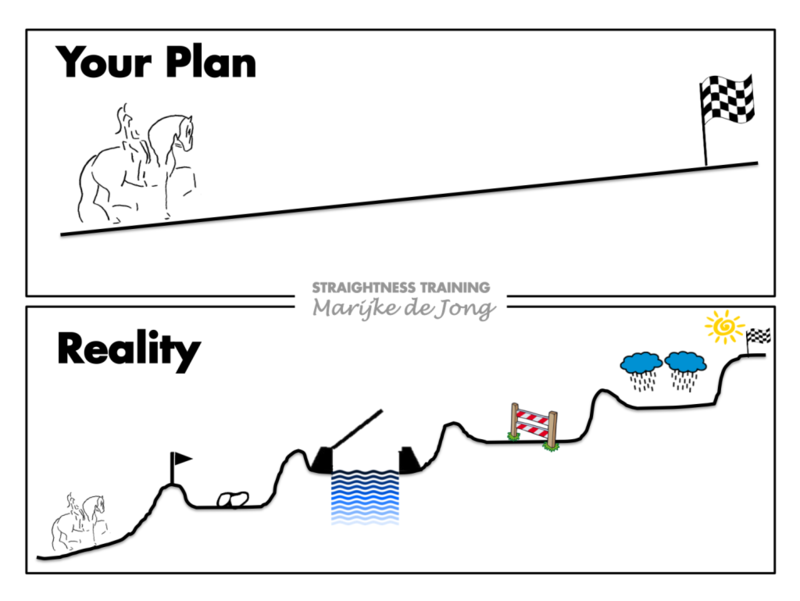 I often spend a good deal of time worrying about imagined ‘off’ steps on perfectly sound horses; to ask one who might actually limp, whose retirement might be less comfortable, to carry me to some ego-induced goal? No. Just no. My husband’s new horse was a bright and sparkly distraction from my disappointment. So much potential, some training and tack issues to resolve. Wynne and I kicked off Memorial Day weekend with a conditioning ride that started with me smugly “fixing” what I perceived as the holes in his training; it finished with a rough fall and a concussion when I pushed him past his tipping point. The names of Endurance races/rides or whatever you feel compelled to call them, always make me tilt my head like a dog trying to figure out a tricky math problem. Dead Dog Creek has a Creek but it is not “Dead Dog Creek” nor is a dog involved. “Barefoot Run” is decidedly not a good event to run barefoot. You get the idea. “Lincoln Trail” used to be somewhere else but it moved to “Kinmundy” which is actually “Omega”, which is a beer sales one room package store (that also has great ice cream, about 12 residents and a dog that barks enough to entice campers to consider deadly force.) Actually, the nearest town is Salem Il. Illinois claims to be the “Land of Lincoln”, but Lincoln was actually from born in Kentucky. But, I digress, Lincoln Trail is in extreme Southern IL. It is on a trail, but Lincoln was never there. It is also a fantastic ride and, I believe, a ride everyone needs to check out. Ruth Stewart has been putting it on since forever. 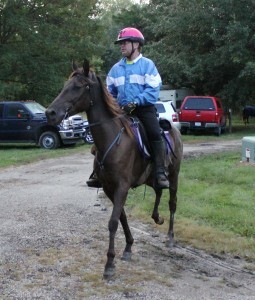 The Mowrer family who have been hosting endurance rides for most re years than I know also help her. To say they make you feel welcome would be an understatement. You can ride 50 miles, 30 miles, 100 miles, a novice 15 mile ride or do CTR. To say you have choices would be an understatement. Saturday night features a great potluck with wonderful deserts than Linda slaves over. Seriously, have you had a berry cobbler that is slow cooked in cast iron over a wood fire? The ride is worth going to for the desert alone. The trail is technical and almost always muddy in places. It is what it is. Slow down or you will wish you had. I usually do the 100 here but my top mare, (Kate the twh really likes this course) is in foal. I sold my second 100 mile TWH, and I recently sold the standie, twh cross I had ready for this 100. So, I was out of 100 mile horses. My next in line horse was Southern Honey, a smokey black 6 year old twh mare. She had one 50 under her belt. I really want to support this ride and have taken as many as 5 horses to it but this time I only competed one. I did take two others to play with so that my super crew (my friend David) could have something to ride after crewing. It has been about 90 degrees in southern IL but the night before the ride had the temperature drop to about 60. My bride of 35 years was getting ready for a womens week of camping and riding in the Ozarks and she said that my taking the live aboard would leave her with a “less than clean” trailer. She coyly suggested I take the stock trailer and sleep in the truck. Yup, stock trailer time for me.